Pulsed Electromagnetic Therapy is a revolutionary, drug-free technology which uses gentle pulsing magnetic field to recharge cells and their ability to heal effectively. PEMF therapy uses a pulsing magnetic field to optimize cellular function. Science has proven that damaged, weak cells caused by stress, overuse, environmental toxins, poor nutrition, age, or injury have an imbalanced electrical charge (similar to that of a low battery). 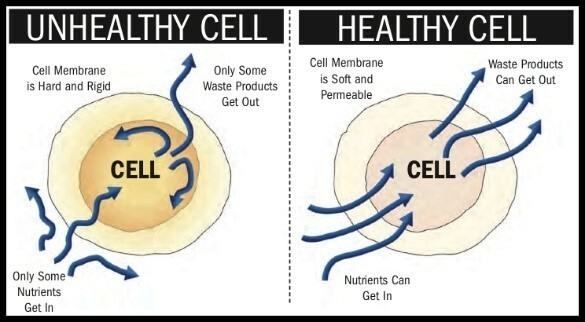 When the voltage of a cell is compromised, the cell membrane loses permeability, oxygen and nutrients cannot flow into the cell, and waste and toxins start accumulating inside the cell. Every human works hard (in one way or another), enduring stress on their muscles, joints and even organs; all of which are made up of the most basic building block of life…..cells. Stress and injured cells lose their charge which results in a loss of energy, pain, inflammation, swelling, stiffness and ultimately; illness and disease. and restores the body’s natural healing ability. PEMF Therapy helps to reduce inflammation, release pain, improves cellular healing, improves health and overall performance.